Select different types of transport for information and click on maps to expand. There are regular daily buses from Ye to Yangon, Bago, Mawlamyine, Kyaik Hto (for the Golden Rock), Dawei and Myeik. You can also get a pick up to Mawlamyine (cheaper than the bus at K5000, but not comfortable). To find out more about bus travel, go to getting around Myanmar by bus. 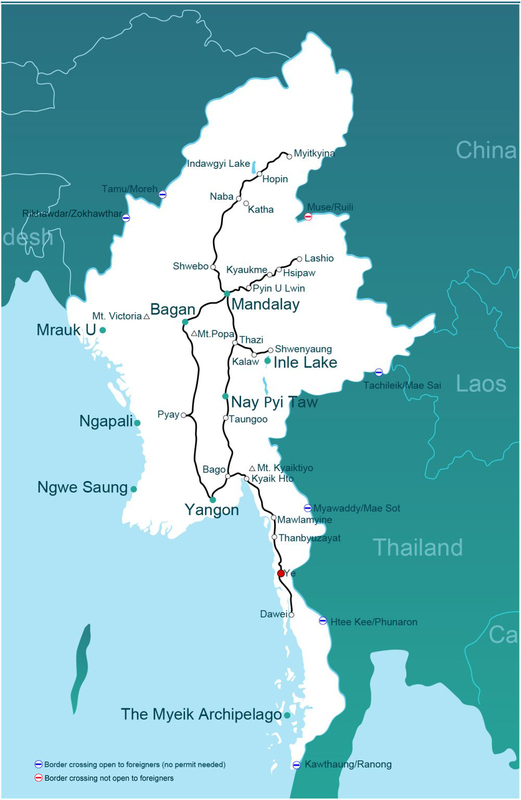 There are regular daily trains from Ye to Yangon, Bago, Mawlamyine, Kyaik Hto (for the Golden Rock), and Dawei (the train from Ye to Dawei winds through the Tenasserim Hills and is particularly slow). 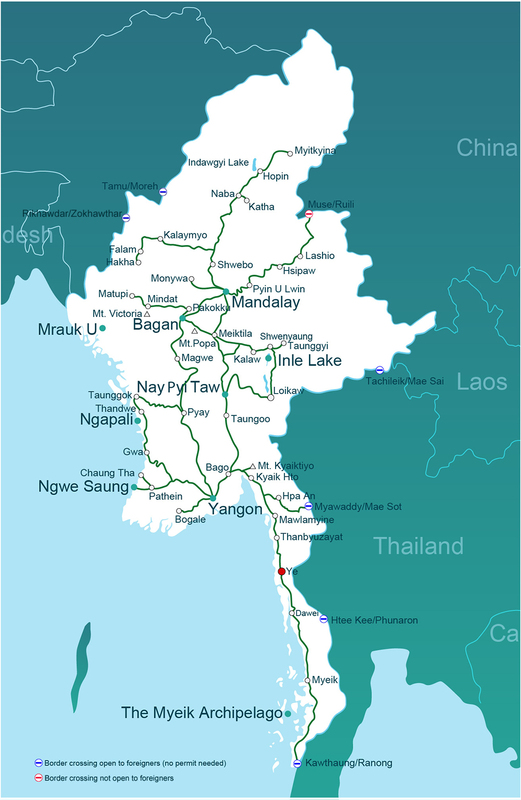 To find out more about train travel, go to getting around Myanmar by train.